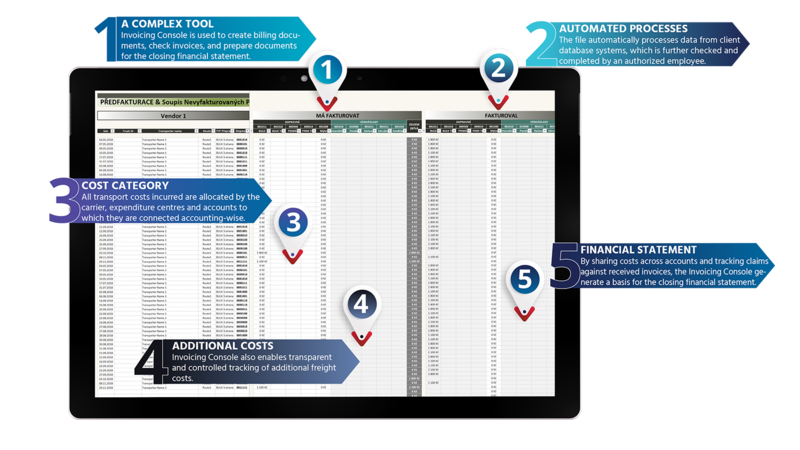 The automated Pre-Billing Tool serves the client’s logistics department to prepare accurate pre-billing documentation for transportation companies, control billing of individual carriers, and create a basis for monthly financial accruals. In this case, we continually service the Pre-Billig Tool for our client and we take care of the regular updates of input data. The client cooperates with several transportation companies and each of them makes tens to hundreds of shipments every month. Prior to the introduction of Invoicing Console our client did not have a consistent billing control system. There were losses and confusion in the search for shipments as well as in the billing. It was therefore necessary to create one module for monitoring all shipments and their costs. This module also needed to process data in the form that would meet accounting standards set both by legislation and by internal rules of the company´s financial department. The Invoicing Console is updated twice a month. Data about completed shipments enter the tool. The data comes from multiple sources from client´s database systems and goes through a series of calculations in the Pre-Billing Tool. It sorts shipments not only by carriers but also by logistics channels and ensures that data for assigning cost to each shipment is complete. Each transportation company has its own sheet in the Invoicing Console. Data on completed transports for the past period are processed automatically from raw data. There is a part for cost calculation for each shipment. This part is also automated and linked to price list included in the service part of the Pre-Billing Tool. The cost is automatically assigned to the a specific account from client´s cost centers based on type of shipment. Shipment costs are further managed and supervised by a designated employee who is in charge of the practical dispatching operation. 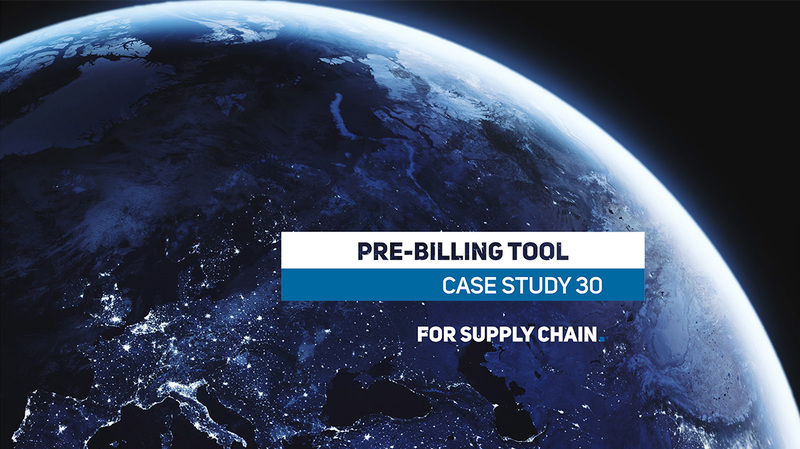 The Pre-Billing Tool includes a section for manual input of any additional costs that might have appeared in connection with a particular shipment. The additional costs are also linked to specific accounts on client´s cost centers. The documentation from Pre-Billing Tool is sent to transportation companies as a basis for billing of shipments. Next to the debit part with shipment costs there is a credit part where data from payed invoices is entered. Every month the difference between billed and unbilled shipments on each account forms the financial accrual for each logistics cost center. We also developed an automated Accrualing Tool, which prepares data for financial accruals for logistics. We make our clients´ daily logistics operations easier thanks to tools such as the Non-Deliveries Tracking Tool or the Day-to-Day KPI Summary in Logistics.